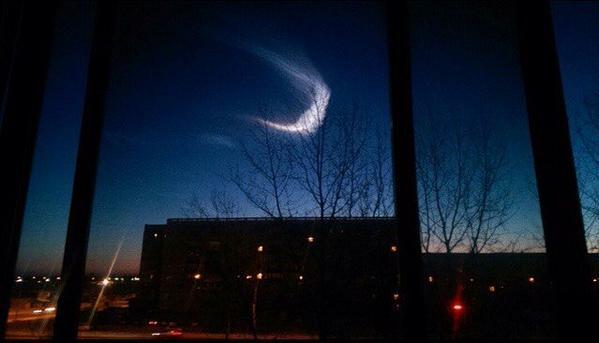 The sky in Russia’s Far East was lit up by a strange object on January 17, 2016. 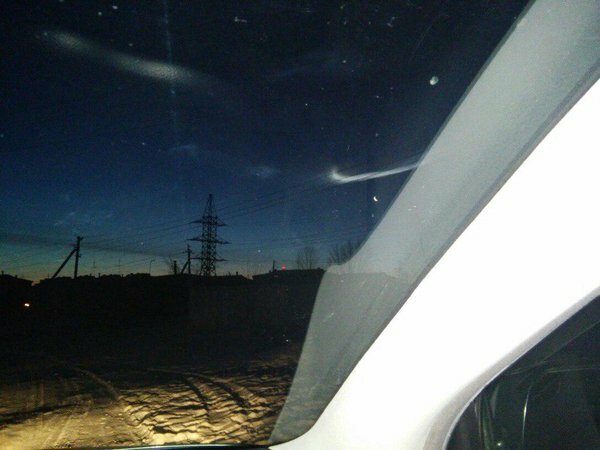 The mysterious glowing object flew over the city of Belogorsk and Blagoveschensk leaving behind a long trail of white light, which reportedly hung in the sky for the next two hours. The journey was short-lived. 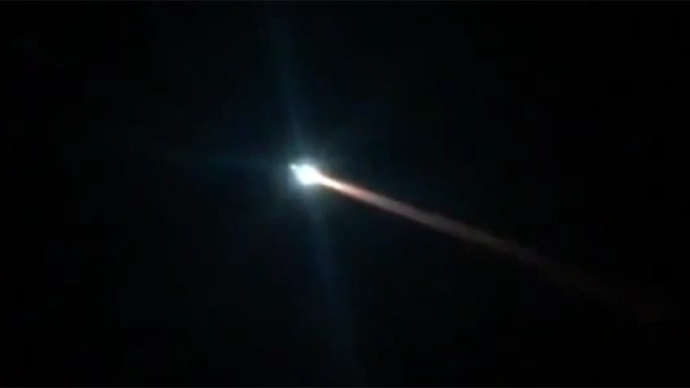 After a few seconds the object exploded in a bright flash. 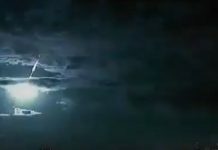 The thunderclap-like sound was heard only eight minutes later. 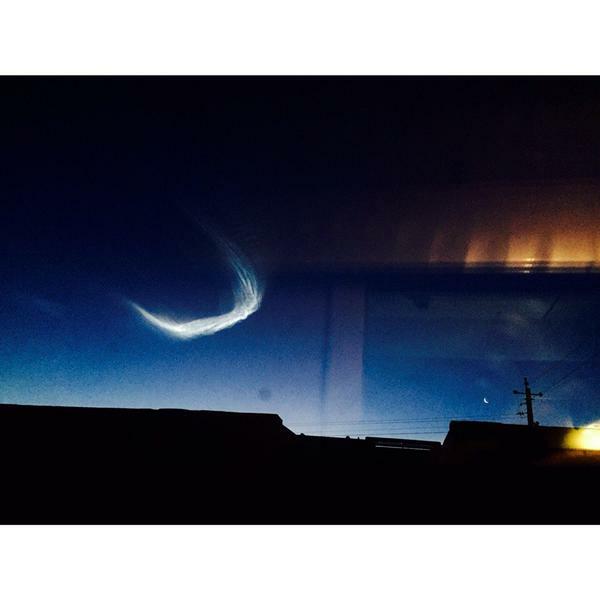 The white trail left by the flying object is very similar to the Nike logo. 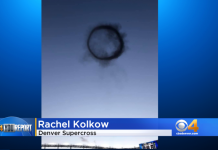 Locals claim they witnessed a meteorite, but so far there has been no official information about the celestial phenomena. 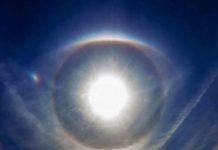 The trace of the alleged meteorite appeared near one of the military units in the city of Belogorsk in the Amur region in Russia’s Far East. So was this another army test? Or a re-entry?